Skip the department store mob and take a gander at the shops of Miamisburg. Here you’ll find storeowners that cater to your needs, and there’s no need to feel rushed. 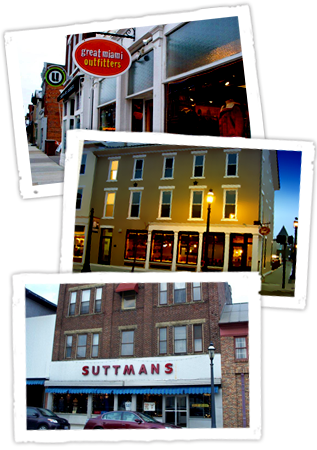 Take in the original architecture of the buildings as you stroll down Main Street, and enjoy your shopping experience! From dress shops to camping gear, there’s sure to be a store for every member of your family. Art galleries, antique stores, and specialty gift stores line the streets. For details on where to shop, check out our Businesses section. There are plenty of stores, so make your way downtown and browse – explore –buy!